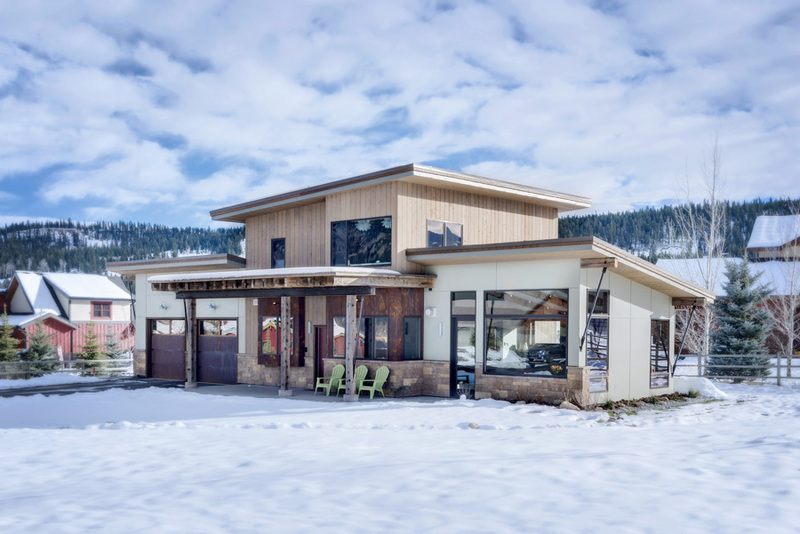 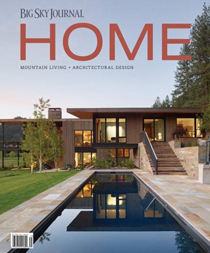 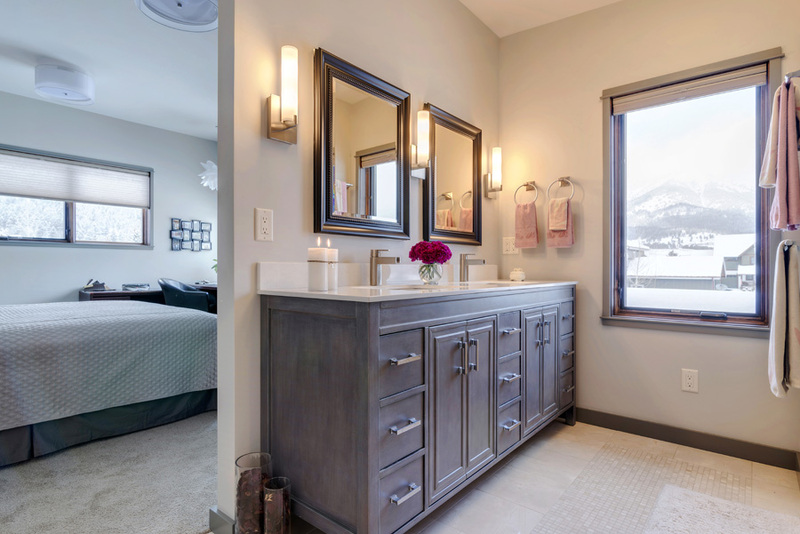 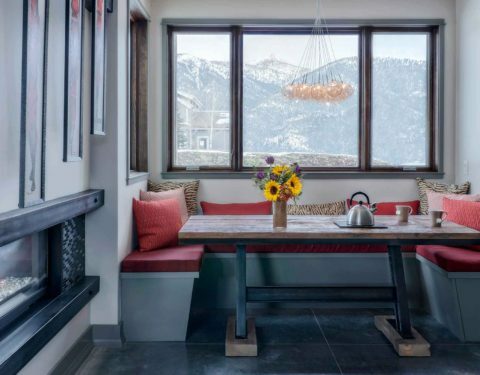 The Limber Pine project portrays a custom mountain modern home, combining personal design elements and unique material finishes. 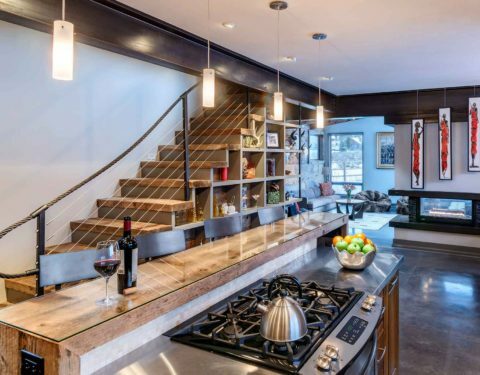 Clean lines, an open floor plan, and efficient features maximize space, function, and budget in this small footprint abode. 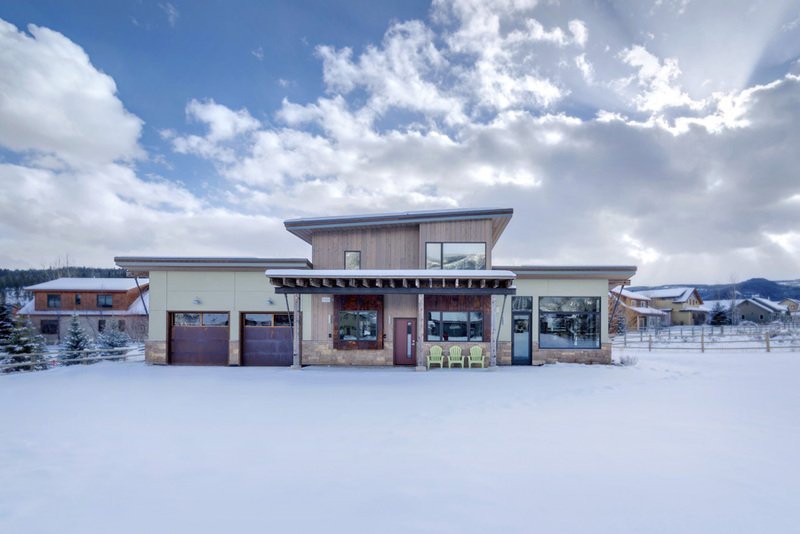 This 1,800 sq ft home is a refreshing combination of modern architecture and rustic style, with finishing touches of African artistry reminiscent of the owner’s travels. 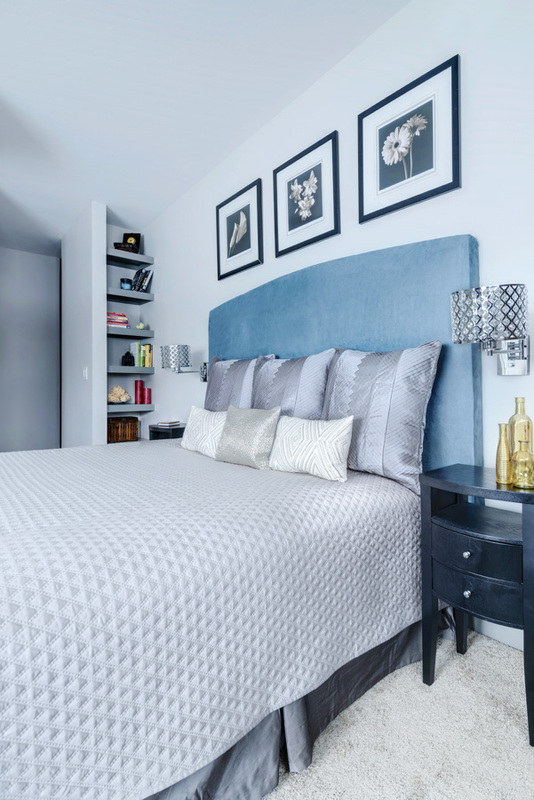 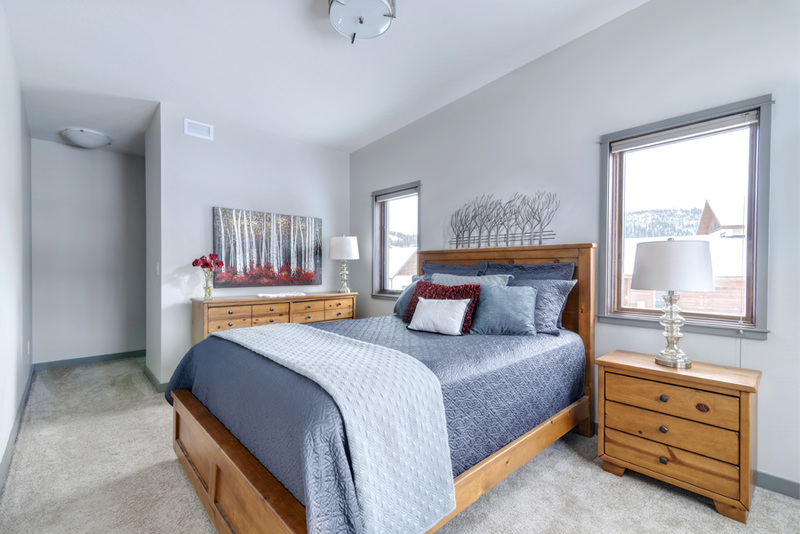 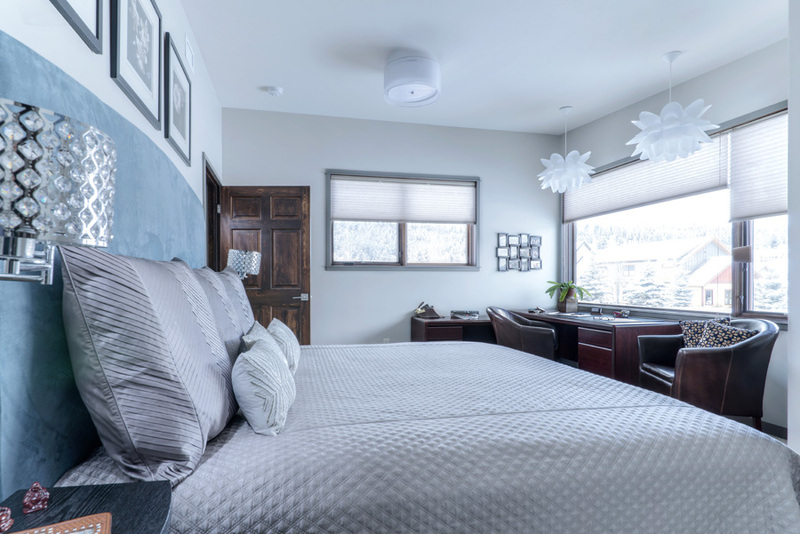 Cool tones of gray, white, and blue accented with red and orange perfectly complement the owner’s design choices and lend to an atmosphere that is visually appealing as well as relaxing. 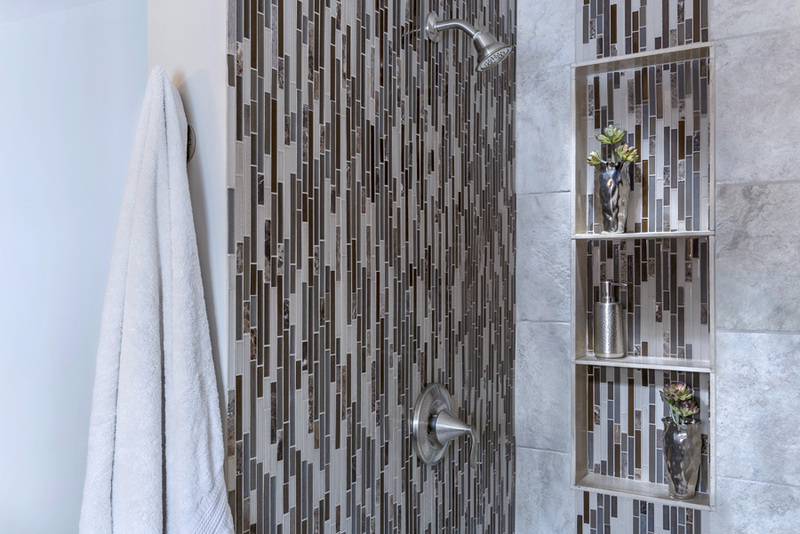 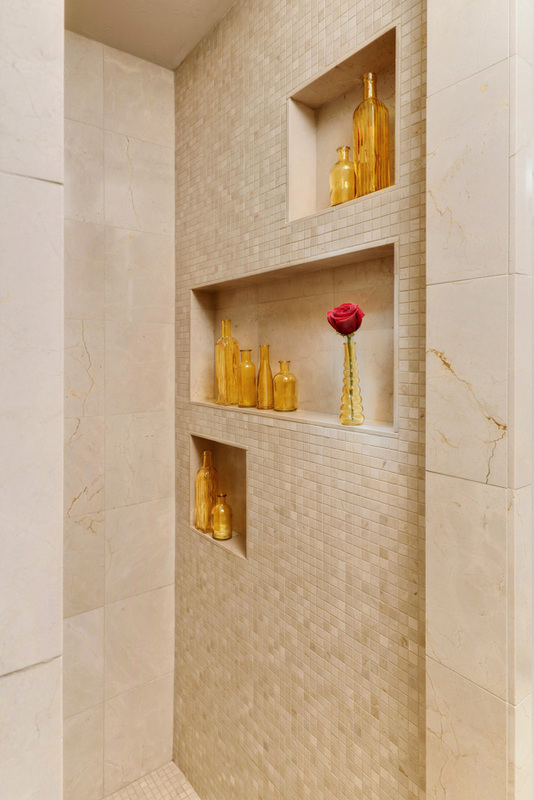 Use of shelving under the stairs, in bedroom corners, and tiled into shower walls, as well as the built-in dining area with a handmade table at its center, highlights smart, space-saving planning. 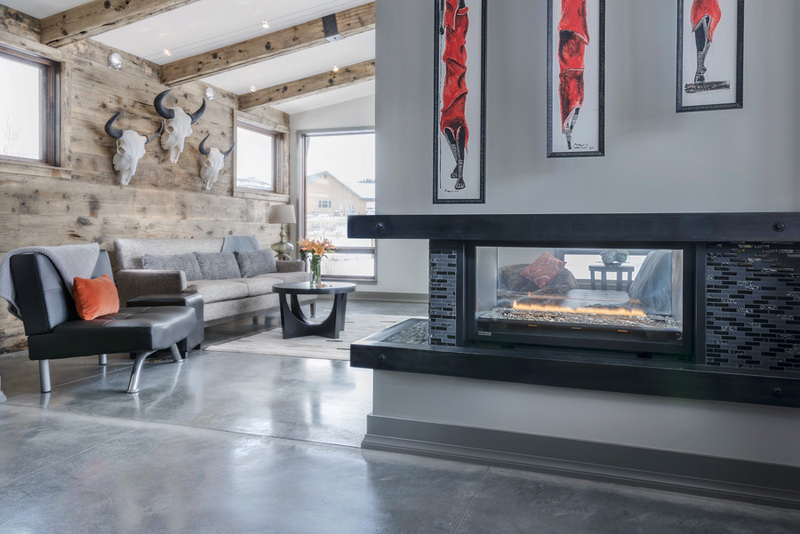 Beneath the polished concrete floor hides a luxurious, yet efficient, comfort: radiant floor heating from geothermal sources (link to green building page). 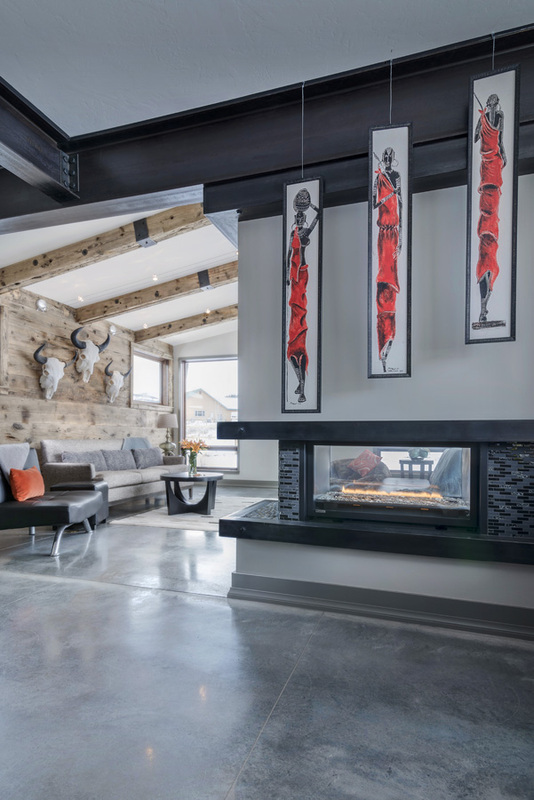 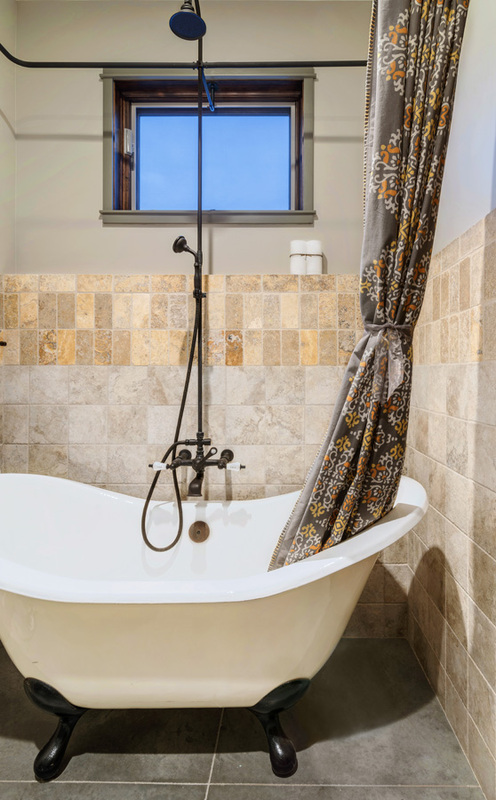 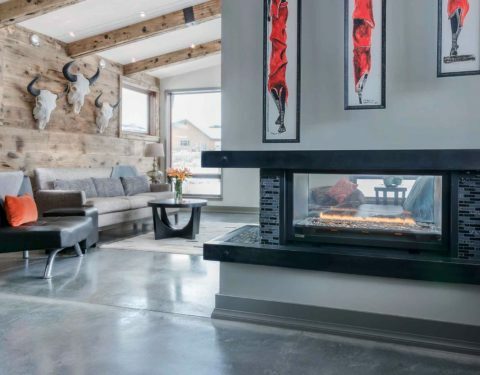 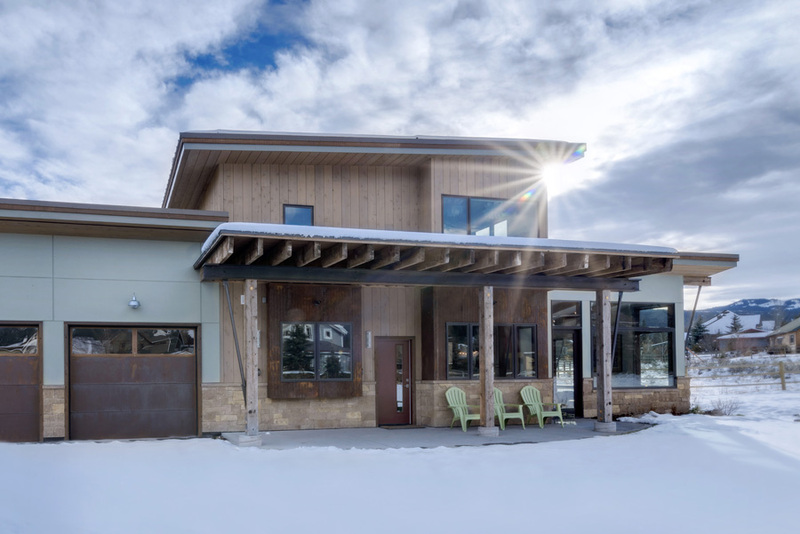 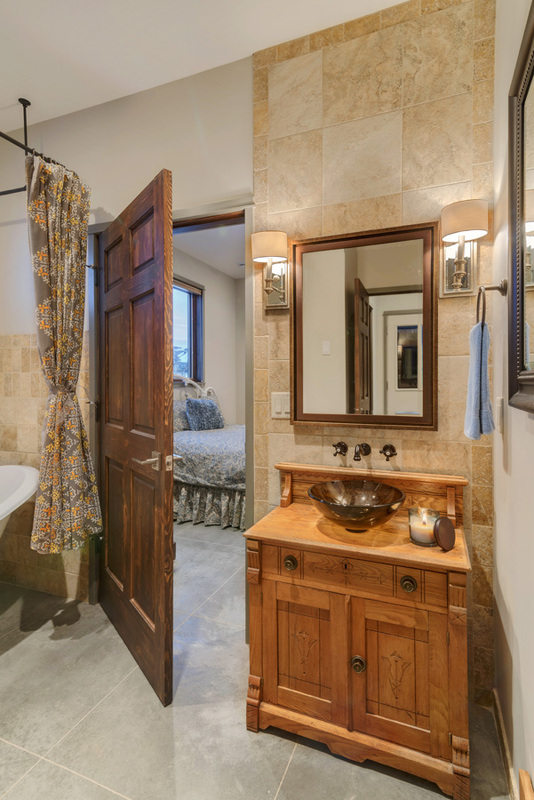 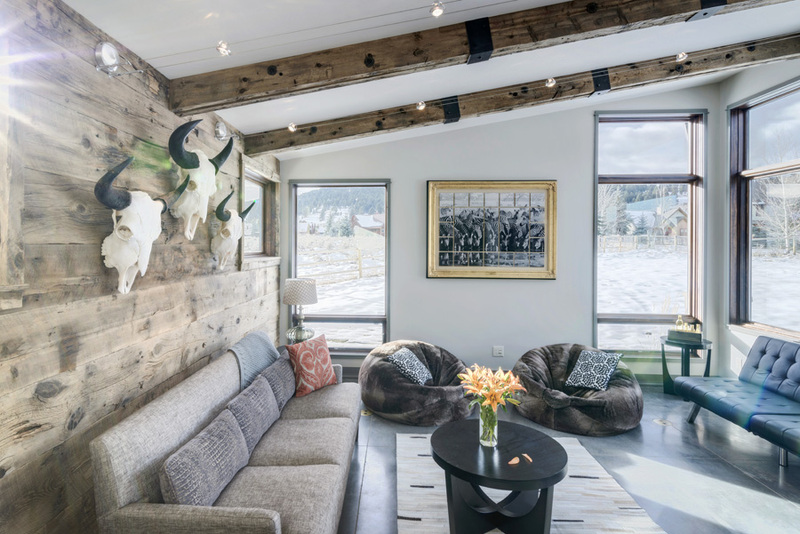 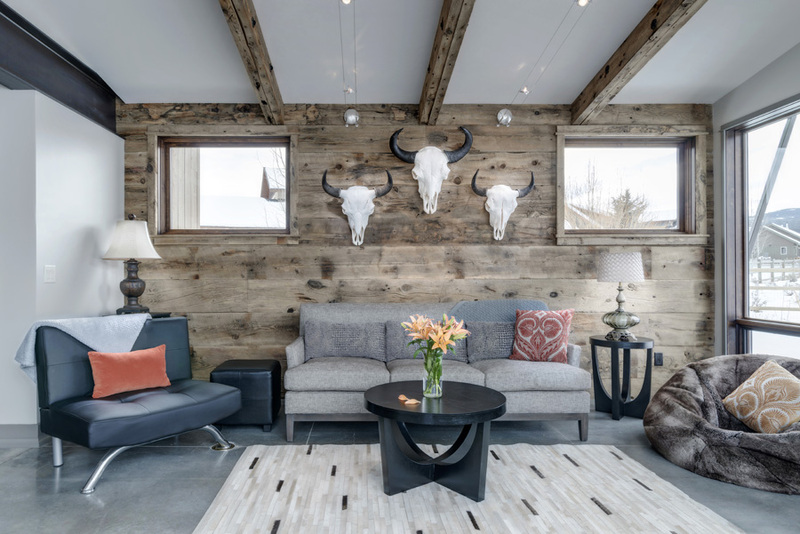 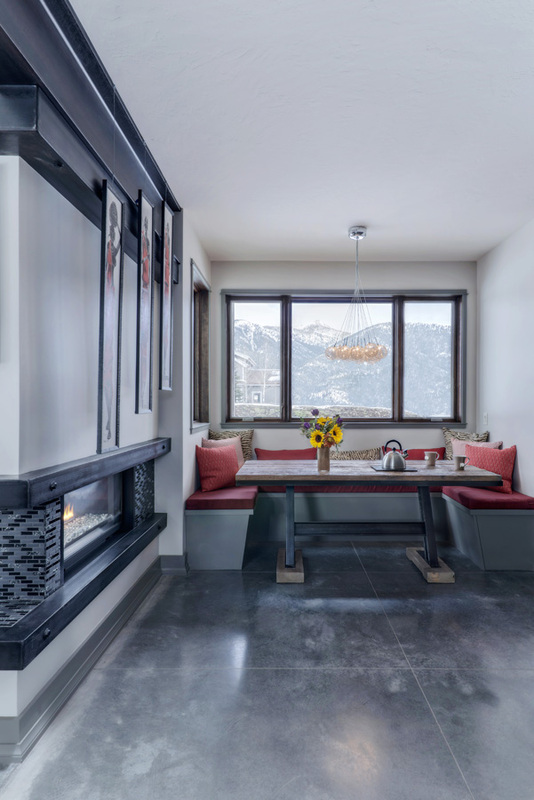 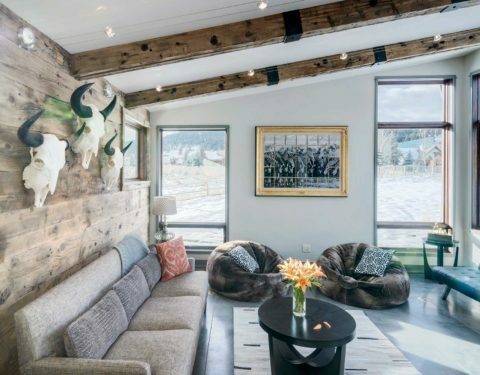 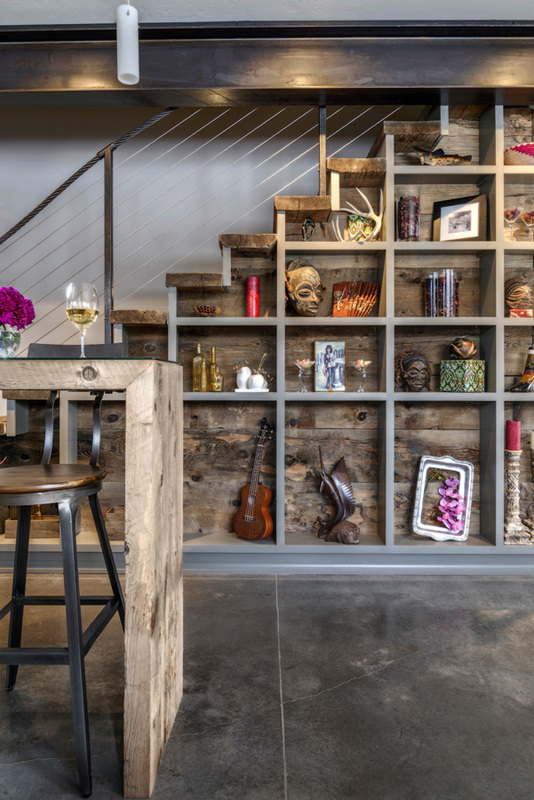 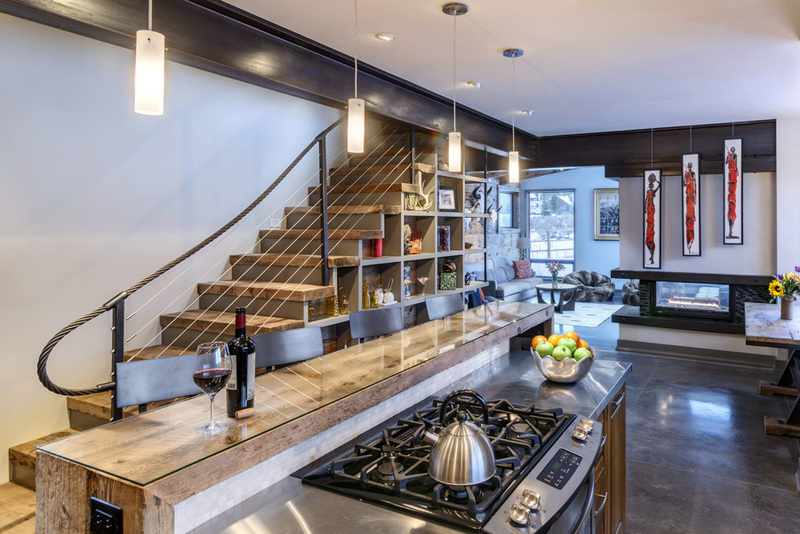 Additional one-of-a-kind features such as the repurposed ski cable staircase railing and recycled bridge timbers adorning walls, ceiling beams, countertops, and the kitchen table were thoughtfully integrated to round out the history and culture of the Montanan’s roots. 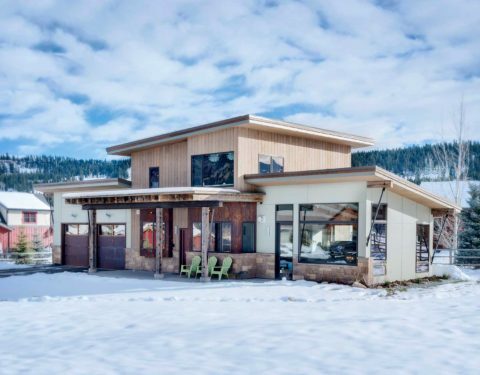 This Big Sky custom built home may be small, but it’s big on intricate detail and personal touches, making it this owner’s home sweet home.